Historically, the African Methodist Episcopal Church is known for being first. The first Protestant denomination formed on American soil, the first blacks to own property in the United States, the AME Christian Recorder, the first black newspaper, Wilberforce University, the first black college, and Hiram Revels, the first black United States Senator. We are now pleased to announce a partnership with the presidents of the nineteen (19) Black banks in the United States, with the goal of increasing Black wealth. This partnership grows out of an initiative formed in Washington, DC in 2015, called Black Wealth 2020. Increase Black homeownership to over 50% nationwide. This means more than 2,000,000 additional Black homeowners that now exist. Grow the number of Black businesses from 2.6 million to 4 million and total receipts from average $72,500.00 to $150,000.00. To increase deposits and loans with Black banks. The African Methodist Episcopal Church has already begun to lead Black Americans to achieve the goals of Black Wealth 2020. One of our Episcopal Districts, has already partnered with Black banks located in the region. Over a four-month period the following results were achieved. New accounts from one bank totaled 78, in the amount of $557,143 and from a second bank received deposits totaling $516,700. This was achieved over just four months and did not include the entire Episcopal District. There are over 6,000 AME churches in the continental United States. We believe that if most of these churches participate, more than $6 million dollars in new business can be generated. This could also generate in three years more than $1 billion dollars in construction loans. The impetus for this partnership is not only what it does for Black banks, but also what it can do for Black Americans and churches. It will strengthen Black banks across the United States and increase their capacity to loan to small businesses, to secure mortgages, provide personal lines of credit, and offer other forms of credit to AME churches and our members. This, of course, includes enabling members and their families to become homeowners. This possibility will be enhanced by a Black-owned mortgage banking company, United Security Financial. The only African American Ginnie Mae issuer and Fannie Mae user will help many Blacks who previously faced discrimination in obtaining mortgages. 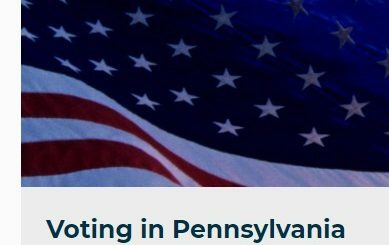 Additionally, construction loans and the expansion and opening of small businesses will increase employment and incomes in our communities, making life better for individuals, families, and communities, as well as requiring small businesses in these locals to meet the needs of growing communities. The African Methodist Episcopal Church is excited about the possibilities this partnership with Black banks across the United States provides. In fact, the possibilities extend beyond the borders of the United States, but throughout the Diaspora. The African Methodist Episcopal Church has over 4,000 churches in Africa, the Caribbean, West Indies and Europe. These churches and members can also benefit from this partnership. This effort which we now announce can be a model for the Black Church, and we encourage our sister communions to join this partnership. 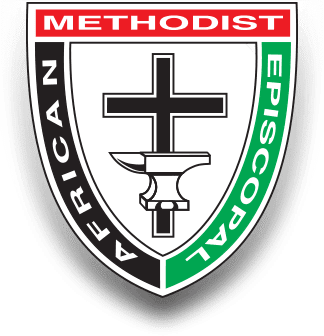 While it is another first for African Methodism, it is not only for African Methodist. We have no doubt that these Black banks who partner with us, will be eager and committed to expanding this partnership to increase Black Wealth, throughout Black America.